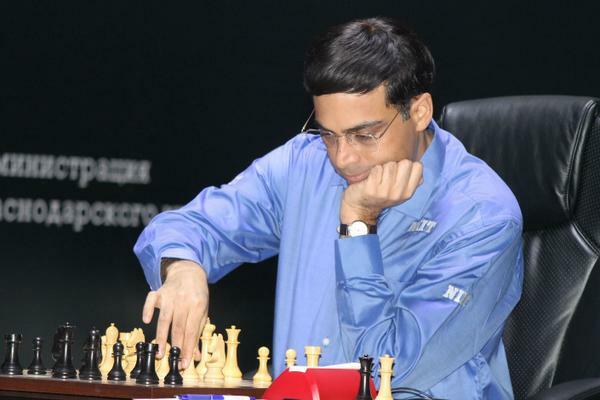 It was lucky 13 for Vishy Anand, who finally won a World Championship game against Magnus Carlsen just when another one-sided contest seemed to be on the cards. IM Lawrence Trent takes us through the key moments as the Tiger from Madras shows his claws, backing up ferocious opening preparation with lethal execution. The match is now tied at 1.5-1.5. So the scores are now level at 1.5-1.5 and we have a real fight on our hands! In tomorrow's Game 4 Magnus Carlsen will have the white pieces. You can watch all the action with chat, computer analysis, the chance to make your own moves and live video commentary from Peter Svidler and Sopiko Guramishvili right here on chess24!